DCU’s Ciara McDonnell (second from left) in the Aviva Stadium for the men’ and women’s cup draws. The DCU men’s and women’s teams are heading into cup action with eyes on cup runs after differing league campaigns. The men’s team face University Ulster in the Brendan Johnston Cup Quarter-Final while the women’s team will play two games in Group A of the Tier 1 Cup. Both teams competed in their respective leagues last semester and had differing fortunes. The men played five games, winning one and losing the other four, finishing second last in the six-team table. However, rugby development officer Rob Mullen, thinks they have enough potential to go on and face IT Carlow in the semi-finals. “The league was a great test to see where we are at, at the moment. “The men’s teams were unlucky losing to some of the other colleges in Division 1 but from watching them play they aren’t a million miles off and I expect them to really compete and turn Ulster Uni over in the first round,” he said. When the two teams faced off in the league last semester DCU fell to a narrow 26-21 loss. Mullen thinks one of the problems the men suffered from was consistency but he believes they can now deliver a full performance. “They have had some really good patches throughout games but have just fallen off at stages and then results in the other team getting momentum. “Evan Dixon and Brian Fitzpatrick, who are the coaches, will have them in good shape and ready to go for the full 80,” Mullen told The College View. On the other hand, the women’s team head into the Cup with a lot more expectation after winning the Division 1 title last semester. Not only did they win, but they finished top of the table with five wins from five and a points difference of +178. They have been placed in a group with UCC and UL, with a place in the semi-finals up for grabs. First up they host UCC, who they thrashed 72-5 last time out in the league campaign. Following that they head to UL, a team they beat 29-10 last semester. With such a strong performance in the league Mullen has warned of how the cup is a different story but that the girls are fully aware of that. 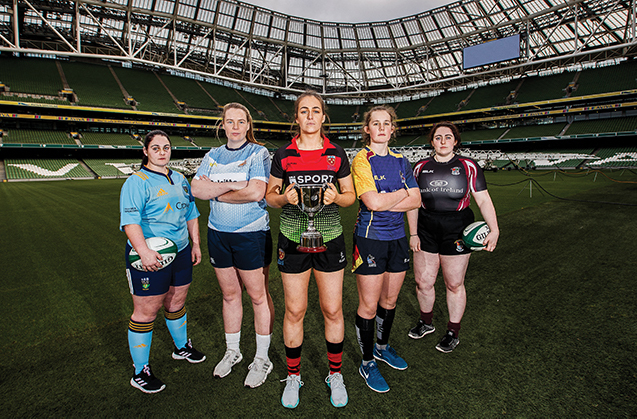 “Obviously with the season being successful to date the expectations are high, but the ladies know that cup rugby is completely different and again you have to take each game as they come and I am sure their coach Eddie Fallon will be reminding them of that,” he said. Mullen also pointed out that the past is playing a huge part in the girls’ success this year. “These DCU girls want to be successful in everything they enter, and I think the agonising defeat last year in the All Ireland final is driving the girls to improve even more and go one step further to lifting that cup this year,” he continued. Both teams will be taking each game as it comes, but it is clear that DCU rugby is on the rise.